Tempe is home to 160,000 plus residents, home to Arizona State University, and they took a dry river bed and made Tempe Town Lake out of it. The Lake now has a marina, hi-rise condos, a park, and more mega-developments planned. Go rent a boat and go fishing if you wish, or just enjoy the sunset over the water. Some say downtown Tempe is the only walkable urban environment in the valley. 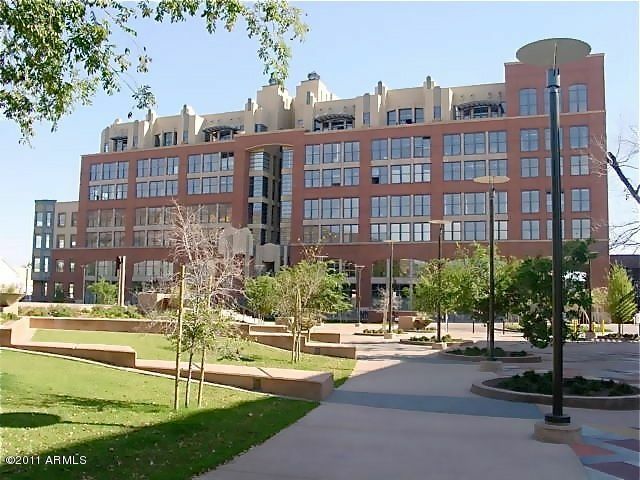 Downtown Tempe is certainly one of the most vibrant and alive areas in the valley with the Mill Avenue district’s 100 shops and restaurants combined with the 69,000+ students at ASU next door! Add a beach park and lake along with some hiking trails and you have a lot of energy! Speaking of energy, check out the graph that projects the growth at ASU! The downtown area employs 30,000 people, is visited by 4 million visitors each year, and also hosts 100 special events each year. Check out the MADCAP Theatres (11 “raw” alternative performance spaces), see a film at the Valley Art Theatre (opened 1940 as the College Theatre), listen to live music on Mill Avenue (Music-on-Mill program), go to an ASU football game or take a boat ride on the lake…..all without getting in your car. A new Tempe Streetcar will make that even easier when it starts running in the 2018/2019 timeframe. This $140 million dollar, 12 story hi-rise condo was built on the south shore of Tempe Town Lake, and is within walking distance of ASU and downtown Tempe. Built by Tempe-based developer SunCor, Bridgeview at Hayden Ferry opened in 2006 and sold about 40 of its units. Due to the following recession, the builder sold the 64 unsold units (including 5 penthouses) to a Denver investor at a large discount. The units were then resold to individual owners. Spectacular views at a spectacular location! This development features gated assigned underground parking, controlled card access to lobby, parking garage, and individual floors, video surveillance, gym and spa, heated pool and spa, ramada and outdoor kitchen, putting green, lounge with plasma TV, library with fireplace, a business center, a dining room/supper club, and a theatre with stadium seating. A $34 Million dollar luxury hi-rise condo built right on the south shore of Tempe Town Lake developed by Suncor at Hayden Ferry and features some great lake and city views! The building is 8 stories, and contains 40 condo units ranging from 1,270 to 3,885 square feet. The community features gated assigned underground parking, controlled card access to lobby, parking garage, and individual floors, video surveillance, gym and spa, pool and spa, ramada and outdoor kitchen, lounge with plasma TV, library with fireplace, conference room with high speed internet connection, and billiards room with bar area and flat screen TV. 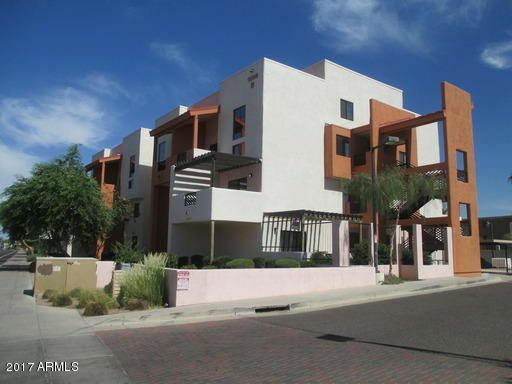 Contemporary Loft building with 7 units built in 2007 by Tempe Lofts LLC with an average size of 1,524 sq feet. Three-story loft space with nine foot ceilings, stained concrete flooring, and two car garages. Modern and contemporary. 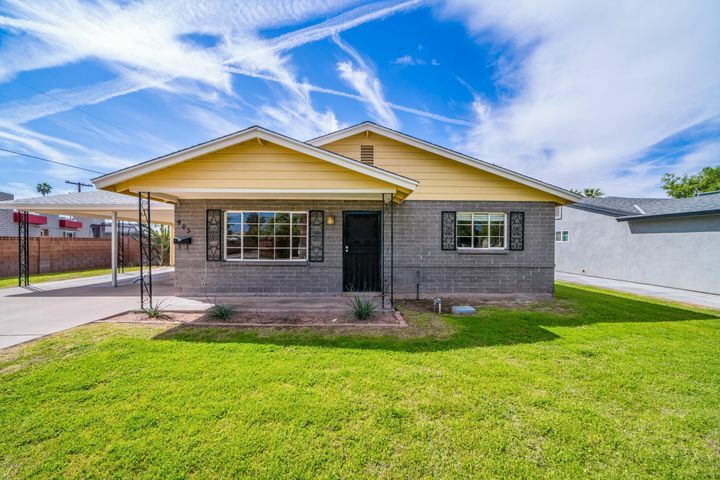 Colored concrete floors and concrete ceilings, euro-style kitchens, exposed duct work and wide open floor plans! Glass roll-up garage door opens up to the balcony. Two 1,641sq foot units with ground floor live-work space and ten 1,573 sq foot units, each with dual masters, and with their own baths. The building was completed in 2009. The community features concrete block construction with slab ceilings and floors, a community pet run, BBQ area, live-work space in building “A” facing Roosevelt, and finished concrete floors. Built in 2008, this 18 unit townhome community also features six Live/Work units with storefronts on Farmer Avenue. The homes are all 3 stories, and the developer says that these urban townhomes were inspired by the late architect Al Beadle, who was famous for his contemporary designs. In late 2012 the development was sold to Synergy Farmer Avenue LP, and all the units were rented. Community features 6 work-live town homes facing Farmer Avenue, 12 interior 2 bedroom & den units (or 3 Bedrooms), and community pool and spa. A mixed use project that consists of 4 commercial units on the ground floor, and 8 residential lofts on the second and third floors. It was built in 2006 by The O’Carroll Group; the original developer departed, and the half-finished complex was completed in 2008 by the new developer. The building is named after one of Dublin Ireland’s grandest Georgian squares – Merrion Square. This all 2-story loft home community featured concrete, brick, and wood beam exterior construction, and private balconies and bay windows in all homes. The Lofts at Orchidhouse is located within the Brickyard on Mill development. It was built by MCW Holdings, it features 83 units and opened in 2002. The square footage sizes range from 916 to 3,745, with an average size of 1,329 square feet. This development features brick, concrete, and steel exterior with nine-inch thick concrete floor on every level with sound attenuation underneath, exposed concrete interiors, constructed with 12″ acoustically isolated interior walls, and gated underground parking. 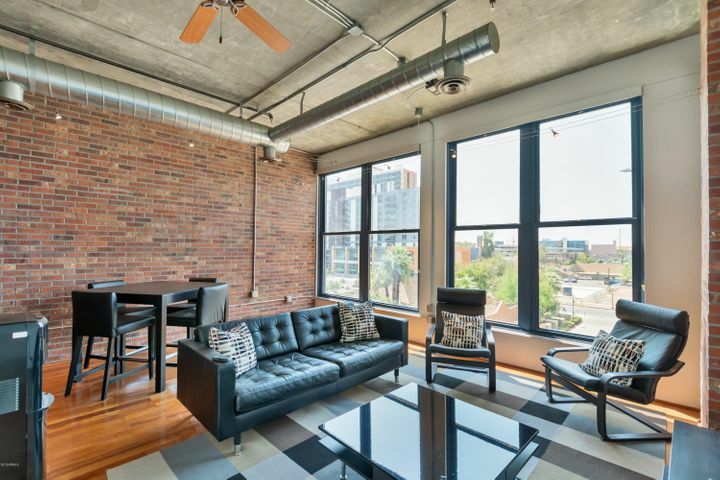 Loft living in downtown Tempe. This contemporary loft complex was built in 2007 by Urban Edge. This modern gated community features 15 loft units that are topped off with a roof top view garden. This gated community has under unit parking, rooftop gardens and concrete paver roof decks, and masonry and 2 x 6 construction. Urban lofts designed by architect Will Bruder and built in 2005 by Beck Development. A total of 46 total units were built with an average size of 1,215 square feet each. This gated community features 7 live-work units, community pool and spa, and a recreation center with exercise equipment. Town homes built in 2008 in Tempe’s historic Maple Ash neighborhood. 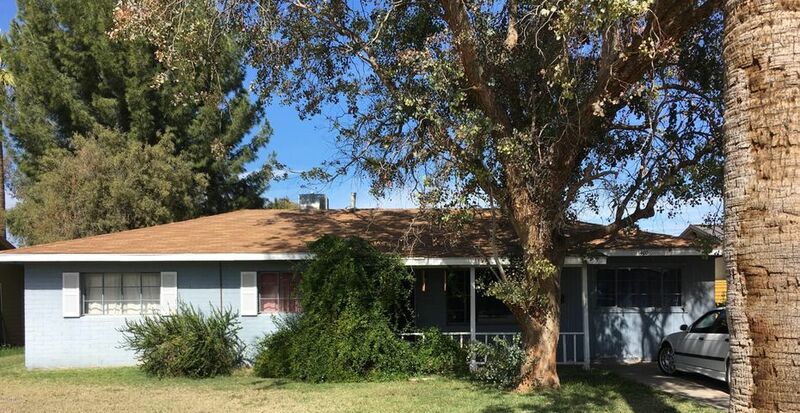 In 1938 the Arizona Governor Howard Pyle had their home built at 1120 S. Ash, and lived there for 27 years. This historic home was kept and the other 8 townhomes were built around it by Gemini Construction. All homes have 2 car garages. 4 Twenty One W 6th Street is a 24 unit luxury townhome development with three and four story homes between 1,553sf and 2,270sf. It was designed by Bing Hu of H&S International, each home features a two car attached garage and two private balconies. Catclar Investments LLC is the manager of Symi Development LLC and the developer (legal name is Clarendon Townhomes). In March 2016 a plat was approved for this 15 lot townhome development and most of the units were built in 2017. TPG Holdings LLC was the developer. Homes range in size from 1,383 to 1,827 sq feet in size. 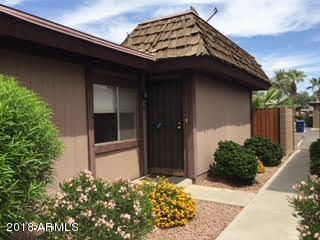 A townhouse style condo community just south of Tempe Town Lake. Built by Pulte Homes in 2006, there are 60 homes, plus seven live-work units at south end of community. This gated community features double stud construction between units, a community pool and spa, and a dog park. This development broke ground in 2008, and features 13 – two and three -story townhomes, and was built by PGJT Holdings LLC. Community features bamboo floors, exposed wood ceilings and brick walls, floor-to-ceiling windows & skylights, and concrete and foam walls between units. A collection of 34 town homes built by Barton Homes between 2002 and 2004. 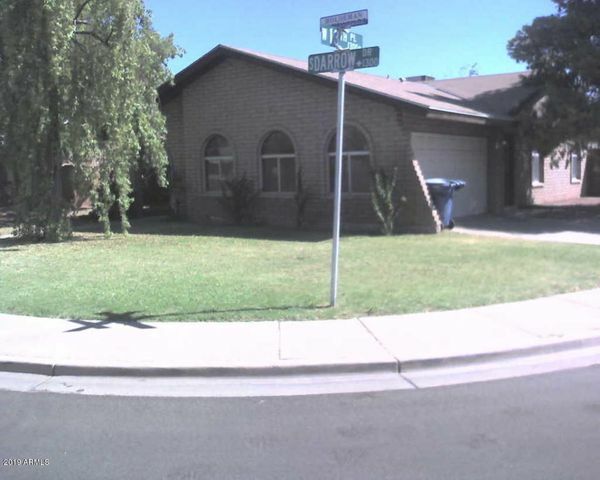 The average size of these all 2-story homes is about 1,214 square feet. Community features a BBQ and community pool and spa. 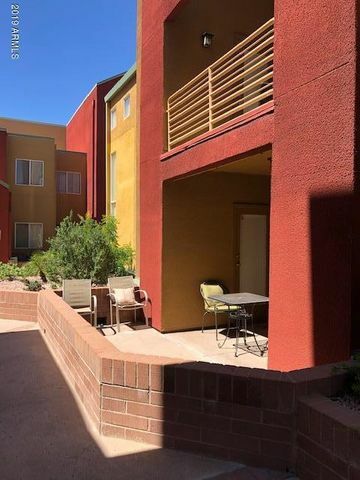 A 2 and 3 story townhome development just to the west of downtown Tempe, with one to three bedroom units ranging in size from 976 to 2,557 square feet in a pedestrian orientated environment. Each of the 65 total units has vehicle access from the rear of the homes with either a one or two car garage. The original developer was MCW/Brownstone Residential, however they went bankrupt during the process and the site sat for a number of years until the project was taken over and completed by Namwest. This community features a community pool, and a fire sprinkler system. A 37 unit townhome community built as “row houses” in 2006/7. These ultra-modern two and three bedroom loft townhomes were built by Shafi Enterprises, LLC. The community was originally named and platted after Frederico Fellini’s 1961 film La Dolce Vita (community legal description is Dolce Vita), and the four floor plans are named after the cast of the film. The units as of 2018 are still being rented out and are not yet for sale. Features a community pool and spa. Barton Homes built this 48 unit (3 story) townhouse development in 2006. The average size of the homes is 1,574 sq feet. The community features a community pool and spa, a four hour fire rating between units, and solid-grouted 8x8x16 Concrete Masonry System construction with an-STC of 50 (a measurement of sound from outside sources). A ten unit townhome development on 1/2 acre piece of land. The townhomes are 3 levels each. This project has not yet been offered as individual sales, and in fact as of 2018 only two of the buildings have been completed (Units 1,2,6 and 7). 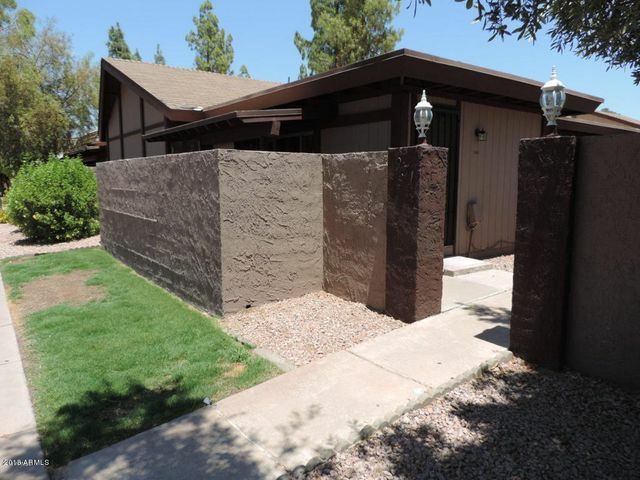 Features adjoining private back yards. Unless built otherwise, the floorplans are 3-4 bedrooms, ranging in size from 1,544 to 2,195. In spring 2018 developer is working with the city to restart the project. A new Townhouse-style condo development built by Townco in 2008, and marketed as “luxury” condominiums. A total of 7 units with contemporary finishes were built, with square footages between 1500 and 1800 square feet. Community features private landscaped backyards with paver patios. 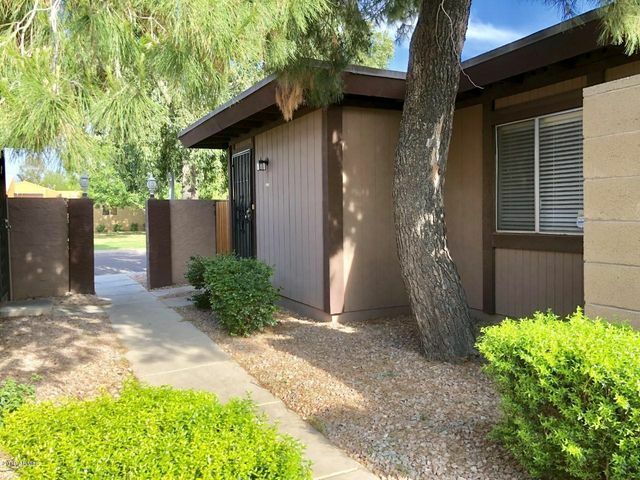 A 53 unit condo complex near ASU. The complex was built in 1986, and the average size of the condo homes is 972 square feet for each unit. Community features a volleyball court, community pool and spa. Four story condo building finished in 2008. The 90 unit building also has a commercial area on the northeast corner and underground gated parking. Two floor plans are available from 1100 to 1300 square feet. This gated community features a community pool, elevator, assigned underground parking, and the Cosmopolitan Room with kitchen, conference table, and flat screen projector TV. This is a townhouse-style condo complex built between 1981 and 1983. There are 64 total condo homes, each with an average size of 1,120 square feet (all 2 bedroom condo homes). Features a community pool. A conversion of an existing 48 unit apartment complex into individual condo homes by CWH Real Estate Investments in 2007/2008. The original apartment complex was built in 2002, and the average home size is 974 sq feet. 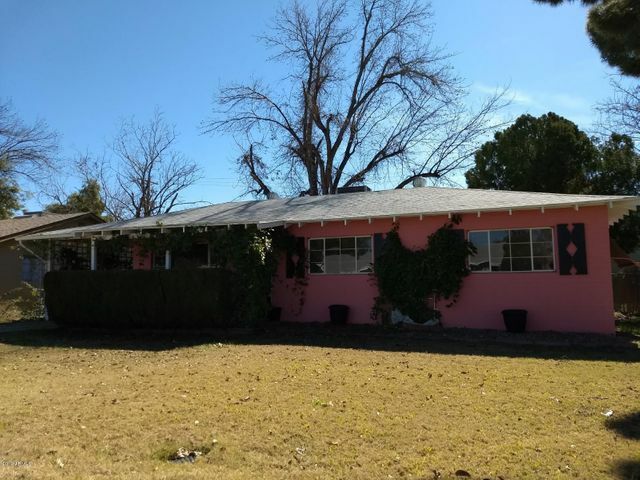 Homes were originally available in one of three “designer styles” (Spanish, Urban, or Contemporary), features a community pool and spa, gated entry, and picnic area with BBQ. Condo homes built above a parking garage in downtown Tempe built by Benton between 1986 and 1988. There are a total of 118 condo homes, with an average size of 989 square feet each. Community features fire sprinklers, assigned garage parking below units, and a community pool and spa. A 40 unit condo complex built in phases between 1986 to 2003. Average square footage of the units is 929 square feet. The newer 16 units built in 2003 were built by AGI Investors. Features a community pool. A 5 -story condo building built by Westone Communities in 2008 on the northshore of Tempe Town Lake. 134 Condo units total were built, ranging in square footage from 1,172 to 2,168. Fall 2012 exterior of building painted and entire pool/courtyard area remodeled. This gated community features a community pool and spa, and lake views, underground parking garage with two designated spaces for each residence, lounge with fire place, mini bar, kitchen and plasma TV, and BBQ Grills. This condo complex is a conversion of an existing 56 unit apartment complex. The complex sits on 2.3 acres, and has 24 – 1 bedroom condo’s, 32 – 2 bedroom condos in seven buildings. The complex was originally built in 1981, and 330 South Beck LLC converted it in 2006 to Lake Point Village by renovating the existing units. The renovation included new tile and carpets, new cabinets and countertops, new entry and interior doors, upgrading of electrical outlets, installation of ceiling fans new lighting fixtures, new HVAC units, new thermostat and controls, new insulated windows, new appliances, new plumbing fixtures, and interior/exterior repainting. Features a community pool. Built in 2002 by Picerne Communities, Regatta Pointe includes 136 luxury one and two bedroom homes built just south of Tempe Town Lake. Three distinct living styles were built. The Lakeside Enclave (40 homes) offers spectacular views of the lake, the Garden Enclave homes (88 total) surround a courtyard with pool and spa, and the Live/Work Enclave (8 total) offers the opportunity to walk downstairs and meet with clients without leaving home on the very south end of the development! The live/work homes have about 500-800 SF of office space on first floor with street access. This gated community features garage parking, pool and spa, a clubhouse with kitchen, BBQ area, a fitness room, and lake access and views (views from Lakeside units). A 25 unit community that was converted from an existing apartment complex into condo units. The existing apartment complex was built in 1986 (10 – 1 bedrooms and 15 – 2 bedroom units). 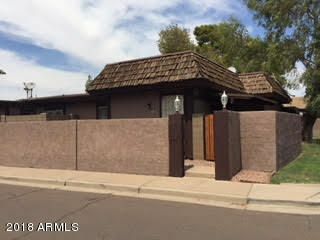 The updating included new texture and paint, new carpet, tile and hardwood flooring, new lighting fixtures, new kitchen fixtures, granite countertops in kitchens, and new stainless steel appliances. The community features a BBQ area, and community pool and spa. A condo complex built in 2002 by First and Beck. 18 total condo homes, with an average square footage of 1,684 square feet each. The community features a community spa, interior courtyard with balconies, and gated garage parking. A 120 unit condo complex built 1982/1983, with an average condo size of 677 square feet. Community features a pool and spa, and covered parking. 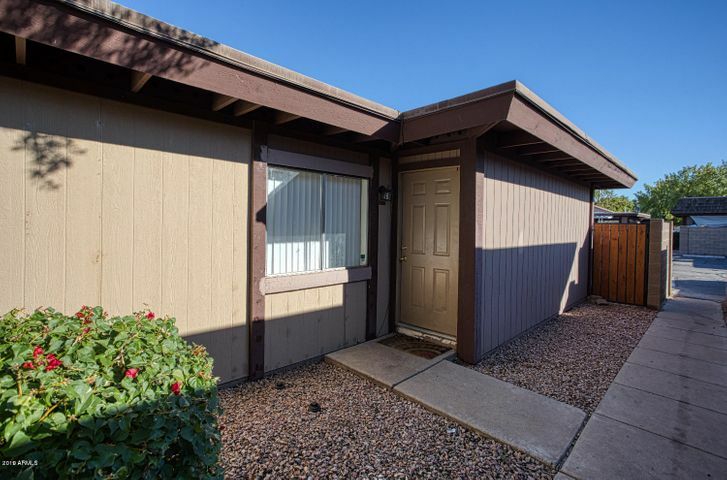 This close to ASU condo complex was built in 1981, has 88 homes, and each home has an average of 655 square feet. The community features a clubhouse, carport parking, and a community pool and spa. This condo complex was built in 1984, has a total of 96 homes, and each of the homes averages 780 square feet. The community has a clubhouse, sand volleyball court, and a community pool and spa.